Elegant gardens from late June to mid September will make your event unforgettable! This is a great place for weddings, accommodating 40 comfortably, and about 100 max. 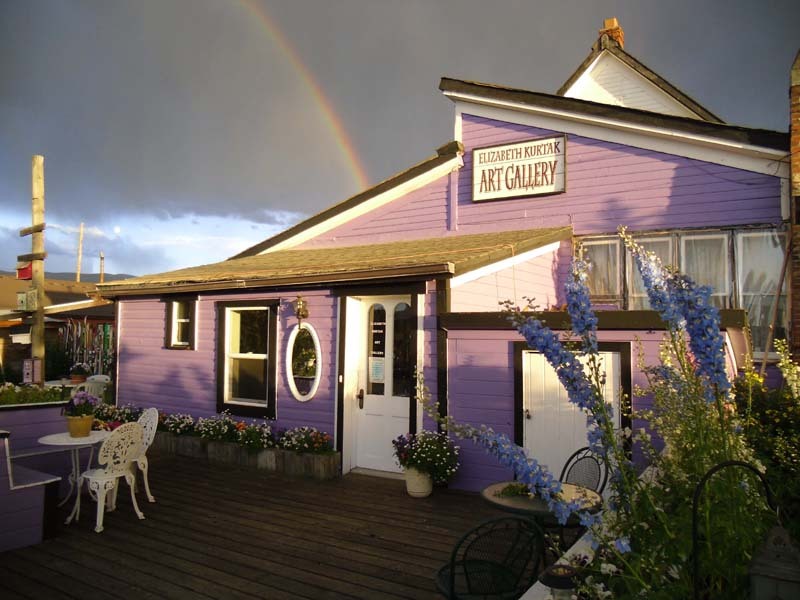 The gallery is also available for bridal ready room, catering set up, or refuge from an afternoon rain shower. Prices vary depending on dates and requirements. Afternoon rainbows, while not guaranteed are frequent in August and September. The Fraser Mercantile is conveniently located 200 feet from the Amtrak station with a Holiday Inn Express and Safeway within 4 blocks of the building. Located on the free shuttle route, you can get from the airport to all accommodations without renting a car. Also, we are located just 1.5 miles from Arapahoe National Forest trails which boast hiking, cross country skiing, fishing, and mountain biking. The many photo ops on site and nearby are incredible and unique. Visit www.ministerpete.com for more info and pics, or give us a call. Small, short notice ceremonies and elopements are welcome. Minister Pete is on site, and you can ride the Amtrak right to the location.